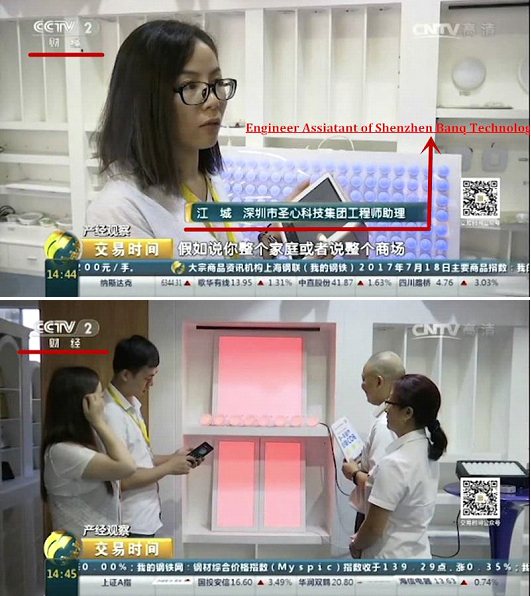 Its really my honour to share the good news with you for: our BANQCN intelligent panel/bulb light are reported by CCTV2 news on 19th of July 2017. The picture shows our engineers are showing how to operate our intelligent panel/bulb light with new features and how to use them. 1. Control Methods: Smart phones (Android&IOS),Remote,Control-panel. 2. tepless Dimming: Brightness adjustable range within 1%-100% and CCT changing within 2400-6500K. At present, we have exported to the United Kingdom, France, Germany, Poland, Holland and other countries. And orders are getting more and more. For our BANQCN group we have more than 60 engineers and We are not only committed to the production and development of conventional products, we will devote more effort to more intelligent lighting product development, to provide customers with more intelligent lighting products.